THE HAGUE, Netherlands (AP) — Pakistan accused India on Tuesday of sponsoring terrorism and of using the United Nations’ highest court for “political theater” as it urged judges to dismiss an Indian case seeking to save an alleged spy from execution. The International Court of Justice case centers on the fate of Kulbhushan Jadhav, who was convicted of espionage and sabotage by a Pakistani military tribunal and sentenced to death in April 2017. Pakistan says it will put him on trial on terrorism charges if the U.N. court orders his convictions overturned. 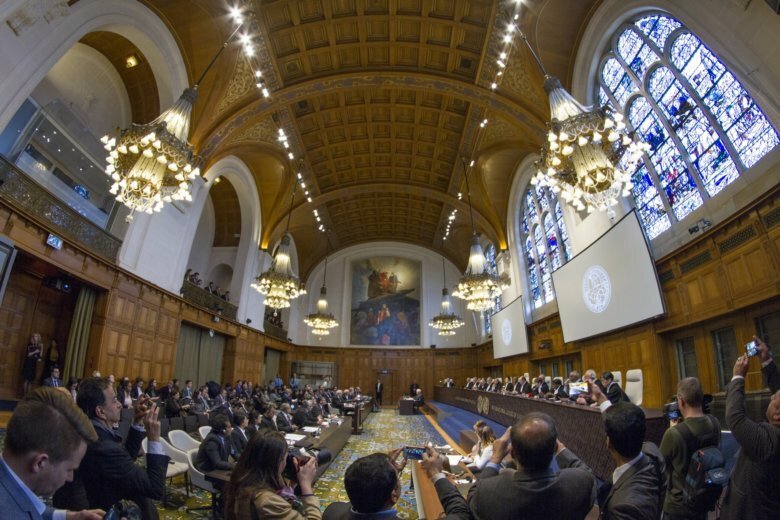 The hearings in the wood-paneled Great Hall of Justice in The Hague come amid soaring tensions between the nuclear-armed neighbors following a deadly attack Thursday in the disputed Kashmir region in which a militant rammed an explosive-laden van into a paramilitary bus. It was the worst attack against Indian government forces in Kashmir’s history. India denies Jadhav is a spy and has asked the world court to order his release because he was denied access to consular assistance, in breach of an international treaty, and not allowed to choose his own defense lawyer at trial. Pakistani Attorney General Anwar Mansoor Khan insisted that Jadhav was a serving Indian navy officer and spy who was traveling under a fake name on an authentic Indian passport when arrested in March 2016. Another lawyer representing Pakistan, Khawar Qureshi, accused India of going to court in an attempt to score political points. “These are proceedings launched for political theater, making a claim for relief that is unsustainable and that should be dismissed,” he told judges. Qureshi said that even if the U.N. court found that Pakistan breached an international treaty on consular relations, the judges should not order Jadhav’s release, but instead call for a review and reconsideration of his convictions. The U.N. court last year ordered Pakistan not to execute Jadhav pending the outcome of the case in The Hague. Judges will likely take months to reach a decision. The court’s rulings are final and legally binding.